The announcement of Suriya - Selvaraghavan project today has definitely come as a shocker and has taken everyone by surprise. Expectations have already gone sky high for this exciting film. Everyone is puzzled to know what kind of film would this be. An action thriller, or a gangster film, or a romantic entertainer, or a feel good drama? Here we recall an interesting tweet that Selva had made in 2013. 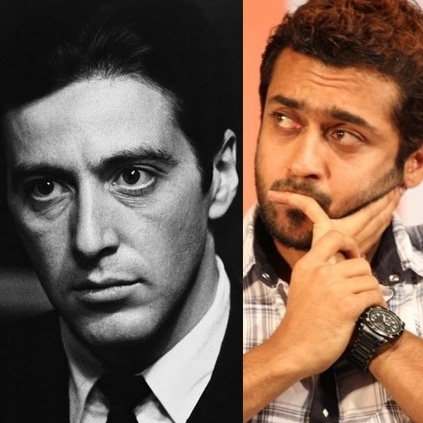 When someone asked what kind of roles would suit Suriya, he replied, "for surya god father series is perfect..surya is a fantastic actor and he will rock in al pacino's role." Going by this tweet, can we witness a Godfather kind of a film from this new combination? It would indeed be great to witness Suriya in an avatar of that stature! Apart from this, it is believed that Yuvan Shankar Raja is most likely to compose music for this film. People looking for online information on Selvaraghavan, Suriya 36 will find this news story useful.